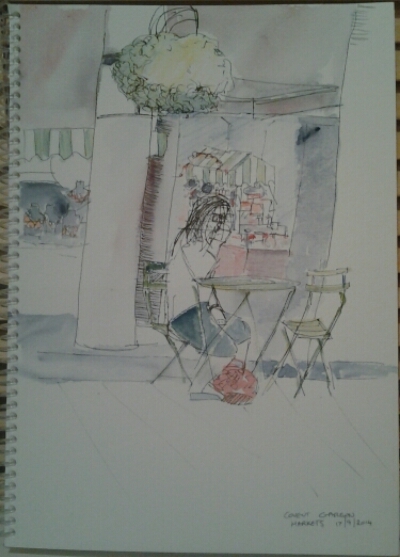 My first sketch of the holiday while having coffee looking into Convent Garden markets. While I’m happy with the general feel of it the lady’s head could’ve been better proportioned. No matter, it’s a lovely memory. I used a fine waterproof pen first and then added colour with my watercolour pencils and waterbrush. I didn’t draw with pencil first. I would’ve proabably remembered to leave space for the lady’s head if I had. I drew her after drawing the market carts. 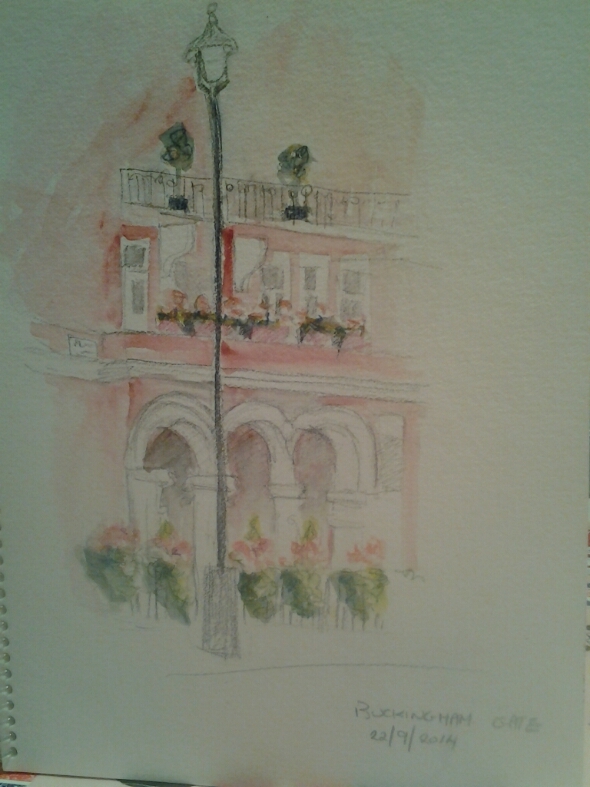 A very quick sketch done with a Derwent watersoluble graphite sketch pencil and trusty waterbrush. The perspective of the fantastic arches worked but didn’t match the buildings above. Sometimes I wish that my teacher head matched my doing head at the same time. My third sketch is my favourite so far. 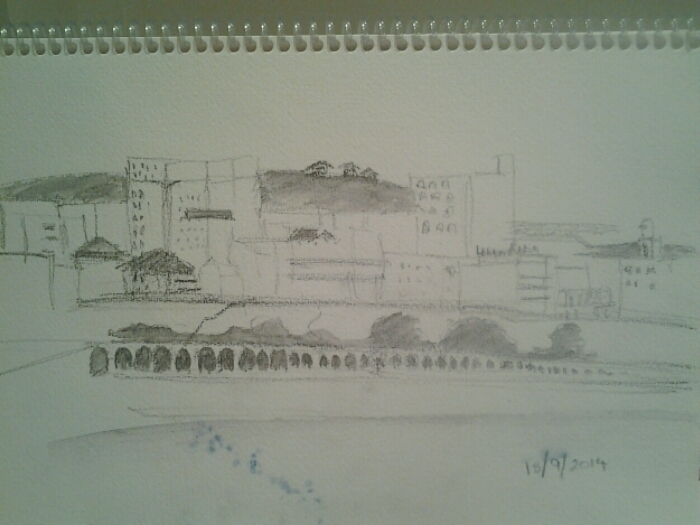 I sat with a pot of tea and a slice of cheese cake and drew the building opposite. The flowers all over London are wonderful. Every street has hanging baskets of flowers. Outside buildings, hanging from lamp posts and mostly, adorning pubs everywhere. Previous PostWhen it doesn’t work you can let the magic in.Next PostBroaden Your Comfort Zone. Look forward to seeing all these treasures. Like Buckingham gate best I think. Maybe the trick is the tea and cake!!! Cheers Jan. This is my favourite too! !